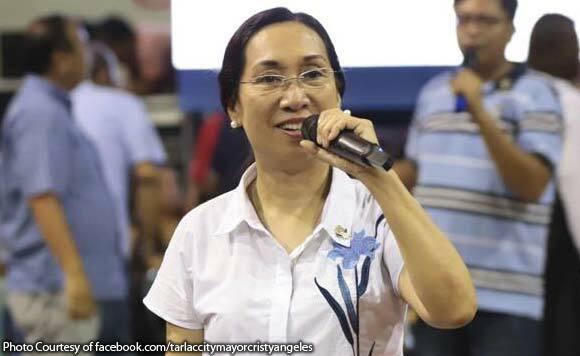 Tarlac City Mayor Cristy Angeles took part in Sunday’s province-wide Unity Walk, Interfaith Rally and Peace Covenant Signing for the upcoming May elections. The event, held at the Tarlac City Plazuela, was initiated by the Philippine National Police, the Armed Forces of the Philippines, the Department of Interior and Local Government, and the religious sector. Atty. Gilbert Almario, the provincial election officer, underscored the importance of the activity which showed the commitments of the uniformed personnel and the Commission on Elections. According to him, the collective presence of the candidates leaves a strong impact as well to the public. “Oportunidad itong aktibidad na ito na maipakita ng mga tumatakbo sa mamamayan ng Tarlac na sila’y nakikiisa sa layunin na magkaroon ng mapayapang halalan dito sa Tarlac,” Almario was quoted by the Tarlac City Information Office to have said. The election period for the May 13, 2019 polls officially began last Jan. 13, lasting through June 12. The campaign period for the senatorial candidates and party-list representation in Congress starts Feb. 12, while that for candidates for congressman, and provincial and municipal/city positions is on March 29.